News from Overland Park, Johnson County, Kansas. Crown Realty Welcomes Amy Kennedy! Amy grew up in Olathe, Kansas and attended the University of Kansas. After graduation she moved back to Olathe with her husband and began a career in property management. As a 40 year resident of the area, Amy knows Kansas City well. She has two children in college, one KU, one KSU; and a child in the Blue Valley school district. Amy has worked in the industry as a controller of a property management company for 18 years, so real estate has always been a great interest. We think her accounting background will prove to be invaluable when understanding the market and her client’s abilities to maximize their investments. Amy knows that purchasing a home is such an important investment for a family, and she is excited to work with first time buyers, existing homeowners, and families looking for additional land for hunting or recreation. When not working, Amy enjoys time at the lake, attending sporting events and playing cards with her girlfriends. For outstanding customer service and attention to detail call Amy at 913-481-3304 or email her at amykennedy@crownrealty.com . Local Fireworks Shows This Weekend! 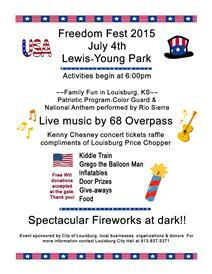 Enjoy a free picnic, music, face painting, games and a fireworks display. 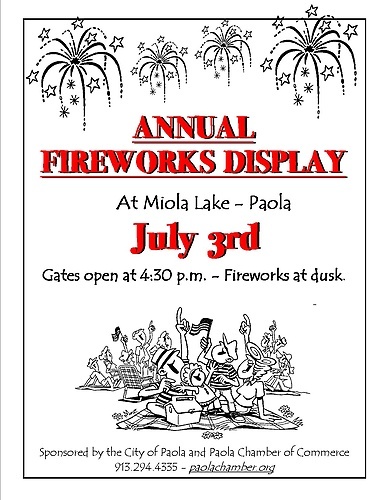 Fireworks will start around 9:45pm. The City of Olathe will host its annual fireworks show. The show begins at dusk, which is usually around 9:30 p.m. Spectators are encouraged to arrive early to find parking and set-up a viewing spot. plenty of grass space for blankets and lawn chairs. Congratulations to our top listing and top selling agents for the month of May! Congratulations to our top listing & selling agents for the month of March!